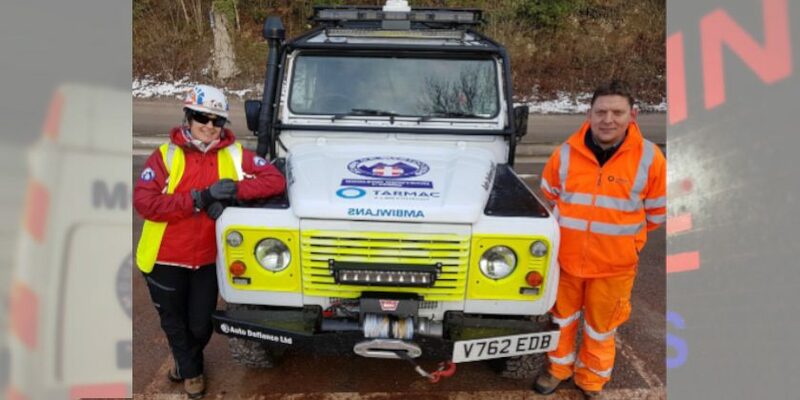 Mold based NEWSAR – North East Wales Search and Rescue has received continued support from Tarmac with a generous donation towards the running costs of one of their two emergency Land Rovers. Vehicle maintenance and fuel are significant costs for NEWSAR, due in part to the large geographical area the team operates in, from Flintshire to Denbighshire, Wrexham and parts of Conwy and Powys. “We are really pleased that we have been able to support NEWSAR by making this donation. The work the volunteers do is of upmost importance and we appreciate everything they do to keep the people of North Wales safe. “We have worked closely with NEWSAR to do joint visits to local schools and groups in the area to give talks on the dangers of playing in quarries and deep water. 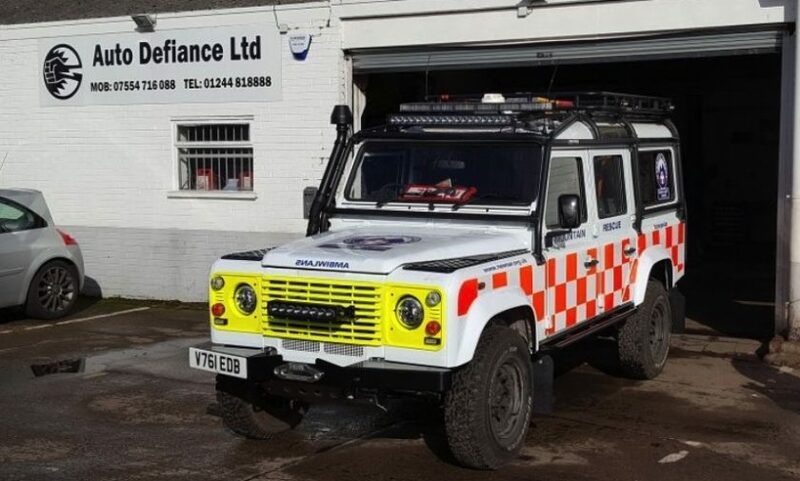 Garden City based Landrover Specialists Auto Defiance extensively refurbished the teams Land Rover Defenders which has helped extend the life of the vehicles. The major overhaul program on the two 4×4’s – which are standby 24 hours a day – saw them rebuilt from the wheels up. Their primary operating area is in North East Wales mainly covering the counties of Flintshire, Denbighshire, Wrexham and parts of Conwy and Powys.